Hey everyone, since the forums moved and we lost all of our outdated guides, I figured "why not make a guide for a class that I no longer play?!" So here is my guide for necromancer. In short, Necromancer is a scythe wielding ranged mage-like class, kind of like an off-support off-dps mixture, depending on how you play it. The class contains both debuffs and buffs, although not nearly as strong as sorcerer and bard. Necromancers use the dark element, and while some people may enjoy ice or flame, don't. The basic gameplay should revolve around spamming Devil Incarnate whenever the cool down is off and jump casting your way to victory in between. My personal rotation consists of Shadowbolt Barrage>Razor Wind>Devil Incarnate, and then just spam Shadowbolt Barrage until Devil Incarnate and Razor Wind are back up. You can throw in other skills like Frozen Tomb, but there's really no need unless there's a large group of mobs. 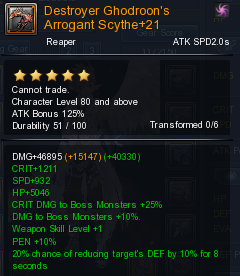 Stats are pretty easy for necro as you just follow the same stat build that everyone uses. Now for the fun part. 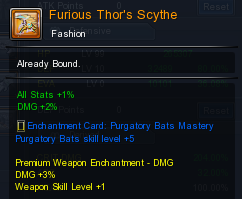 You can use whatever gear you want, go for it, enjoy your own unique build, but here is the recommended, ideal, dps gear. 1) For your weapon, you want to go with the lv. 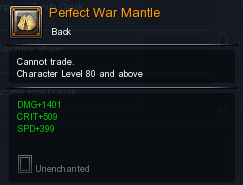 80 crafted weapon with a dark element. 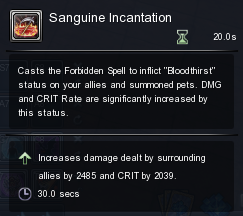 Generally you'll want to get a Lava SS for it with 2% dmg as the bonus stat (if you can get 2% dmg and 6% CDMG then you'll really be in business). 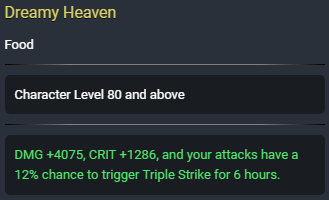 Generally, I'd recommend getting a Destroyer Core (20% chance of reducing a targets def by 10%) on your main weapon and a Nocturnal Core (convert 3% of damage into healing. 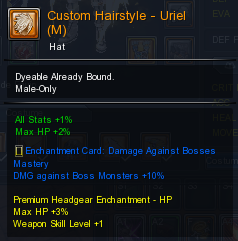 90% less effective against bosses) on your sub weapon. I find it just makes it easier to swap out when needed. 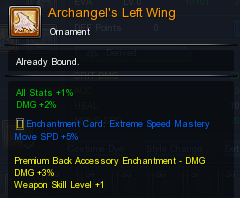 For weapon enchantment cards, you generally want to grab a dual drive card on both your main and sub weapon. If you're rich, grab a 9% movespeed + dual drive. 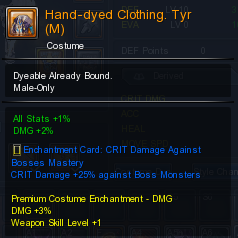 2) For your armor you're also going to want to use nice crafted gear. 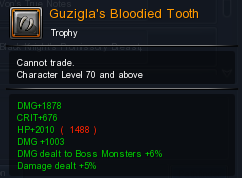 For lv 70 and until you can get your lv 80 gear, run with Sniper (It can be obtained through dragon points in the encyclopedia, or for free from dungeon drops, it will just be coreless). 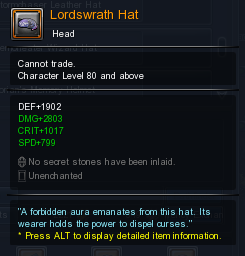 At lv 80, you'll want to use the Lordswrath top set and bottom set as it is the most ideal for dps. As for cores. The general consensus is that you want to use Imperial (3% move speed) for the move speed bonus that it gives. 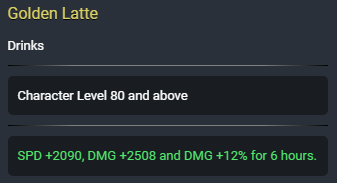 However, if you can't afford it or are unable to craft it, Bestial (DMG 1%, Max HP 1%) is perfectly fine. 3) For accessories you have a bit of a choice. This section is mostly up to your playstyle, however I'll outline a few of the more recommended subclasses to run with. 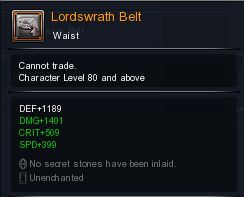 This is by far the best class for you, a necromancer, and for every other class. It offers insane dps with Razor Wind, as well as a def shred mastery and a DMG% increase mastery (whichever you can get your hands on first, we'll cover that later on). It also has a gap closer with Shadow Assault, as well as a stackable DEF Shred with Shuriken Toss. I'd list this as second to shuri in terms of subclasses for necromancer. 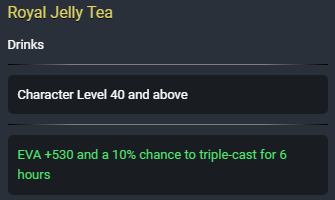 It offers 12% detail damage with 3 stacked green notes, as well as xDMG% boost with the ballad mastery. 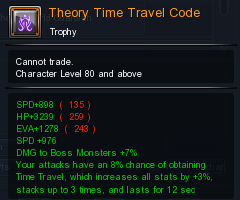 You can also use the -xDEF% mastery with Storm Song if you really want it. 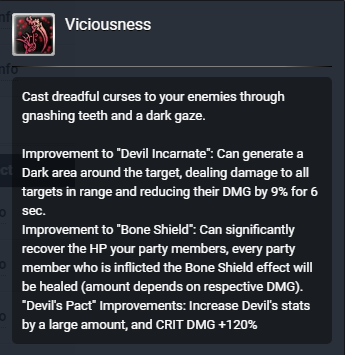 This one will require you to get up close and personal with the bosses, but that's fine since you'll get a lovely DEF Shred from a charged Dry Bones. You'll also have a gap closer with Divine Sunderance, and a pretty decent mob clear with a charged Smite. Other than that, meh. This one isn't as great and only really has one use. Blessing of the Winds provides you with a 30% chance to Double Attack, as well as a 10% move speed boost for the duration of the buff. Other than that it doesn't bring much to the table. I guess you can use Hail of Arrows/Arrow of Light for mob clear but it's a waste of time for the most part. This is my preferred envoy path for dark necro. You could switch it up to fit into another build, but that will be up to you. Your attacks have a chance to reduce targets stats by 2% for 10 sec. Stacks up to 5 times. Nyquist's attacks have a 40% chance to deal damage to multiple enemies. Eidolons are pretty simple for this class. You'll preferably want to use either Hel, Yumikaze, or Verdandi because they each have a 4 second stun which is great. 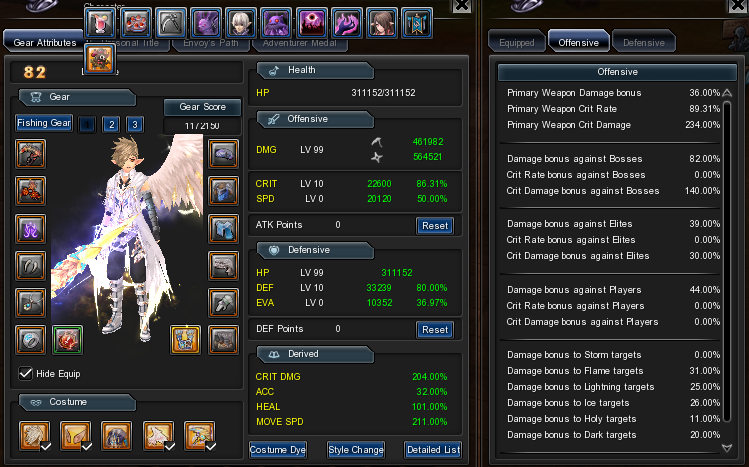 Hel and Yumikaze also have -DEF to targets, while Verdandi has life steal. 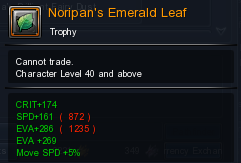 Ideally, you'll want to re-roll the star buffs so that they have 45% Dark Damage and 25% Attack Speed. 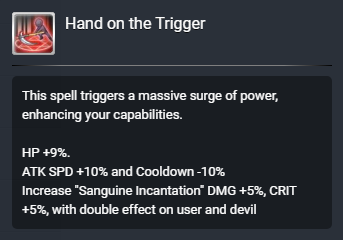 This will allow you to boost your main skill's damage (Devil Incarnate), while maintaining cap attack speed for jump casting. If you are unable to re-roll the star buffs due to funds or other reasons, good eidolons are Yumikaze, Eligos, Yarnaros (24% DMG, 25% attack speed). Eidolon Emblems are the next ting you'll want to get. Generally, you'll want at least 2. I've waited in limbo (I actually quit my Necro last year when Lancer came out) for a serious Necro guide like this one. The others only said something like "1. 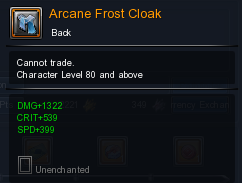 Delete your Necro" and I'd be so bummed since I actually like the class and played it blindly for a full year . Thank you Sair I'll defo follow this thread. 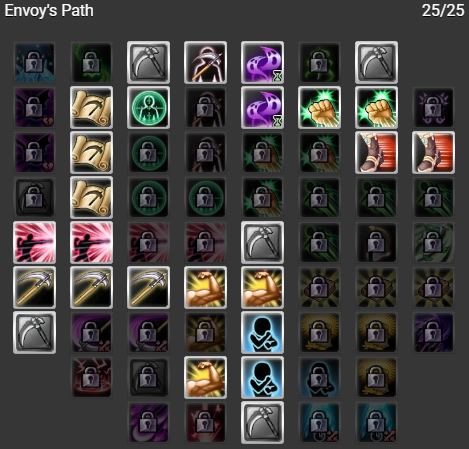 For a guide made by someone who doesn't play the class this guide pretty decent, but I would strongly suggest a change in envoy. I'd recommend skipping the possession tile as its more for a tank build and not needed for a dps build reaper. This is the envoy I prefer, the dark inferno is really good to use because it is dark dmg, which will be boosted with a 45% dark dmg eido, as well as 30% mount and gaia emblem if used. The post was edited 4 times, last by Sizbun ( Sep 22nd 2018 ). You put a lot of atk spd in your envoy. 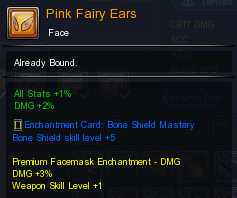 tbh you'd be better off putting points in either crit dmg / crit depending on your ability to cap crit dmg. Those stats will benefit you more especially with awakening coming out. The post was edited 1 time, last by Vilsiwin ( Sep 30th 2018 ).